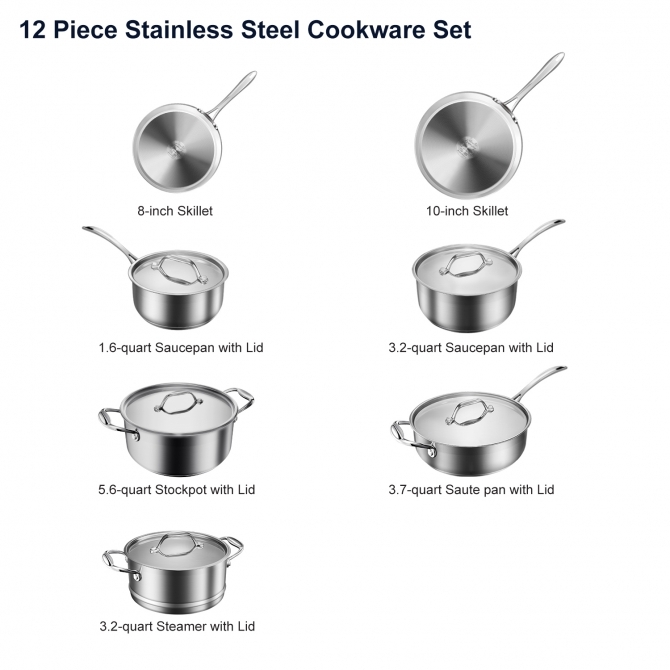 12 Piece Cookware Set includes 1.6-qt saucepan with lid, 3.2-qt saucepan with lid, 8-inch skillet with lid, 9.5-inch skillet, 3.7-qt saute pan with lid, 5.6-qt stockpot with lid, steamer insert. 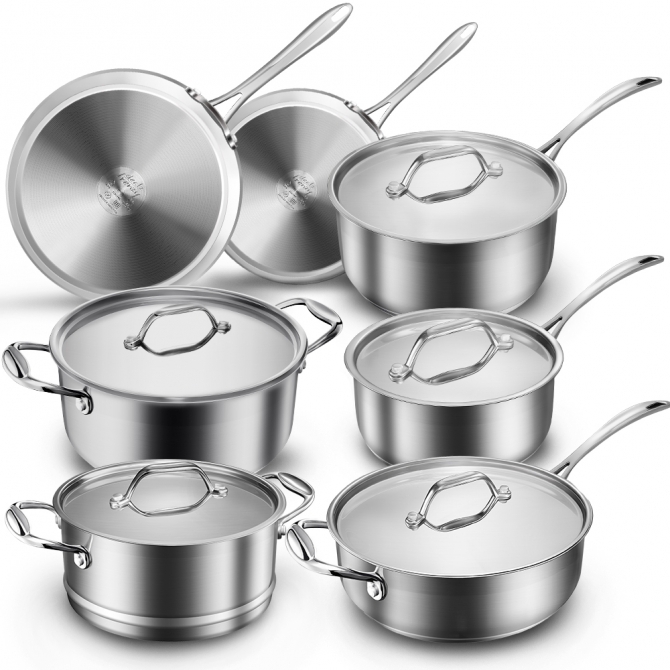 Perfect for preparing just about anything, from sauteing to simmering, steamed vegetables to fried steak. 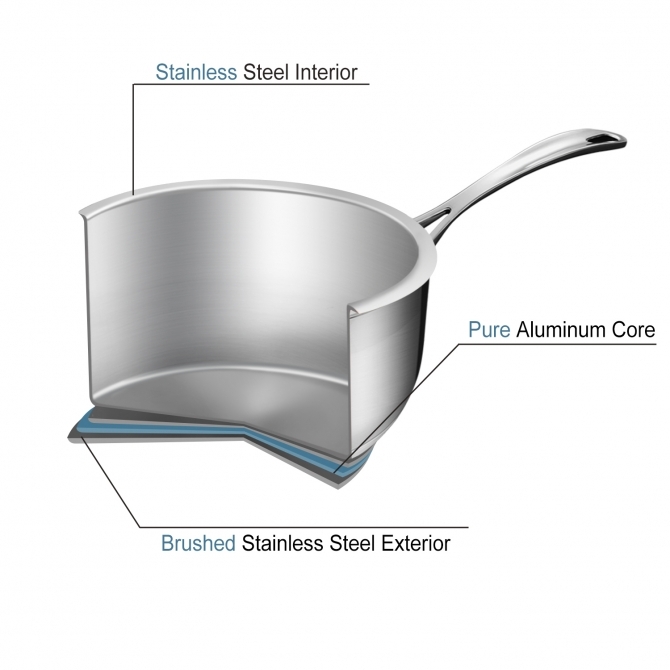 The inside and outside of pots & pans are made of stainless steel that will not react with food or alter flavors, bottom encapsulated with aluminum to provide quick, even heat distribution without warping. Solid stainless steel riveted handles are designed to provide a comfortable grip and add durability. The tail of handles have an open hole design for easy placement and space saver. 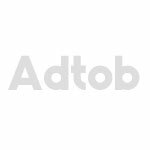 Tight-fitting stainless steel lids lock in heat and moisture to seal flavors for energy saving and water saving cooking, pouring rim for accurate and straight pouring without dripping.